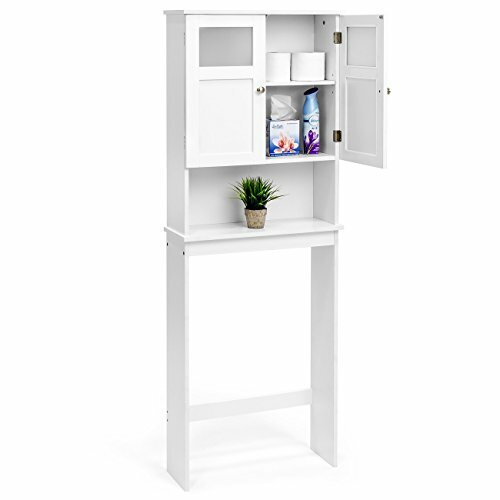 Organize your bathroom with a stylish, space-saving cabinet. Made of finished wood, frosted tempered glass, and brushed chrome doorknobs, its tasteful design creates lasting style. Two doors with plenty of shelving provide convenient areas to tuck away toiletries and linens for a clean and tidy space.